See photos from the first day at International Confex at its new home, Excel London. 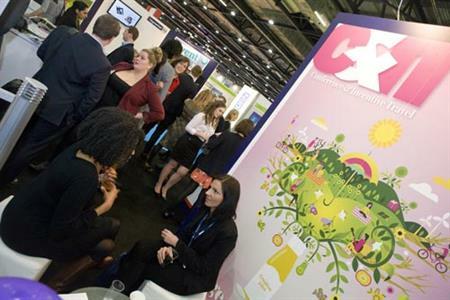 International Confex kicked off at London Excel today, with pre-regsitrations up on last year. See photos from day one of the show, including photos of C&IT's 101 Ideas Guide launch, and our Stories That Made the Cover session on the Haymarket Hub. Join us tomorrow on Stand B1770 for our panel session on motivation, revealing stats from our survey, and with input from expert panellists, P&MM's director of events Chris Clarke, Logistik founder Dirk Mischendahl and Bluehat managing director Tim Shepley.